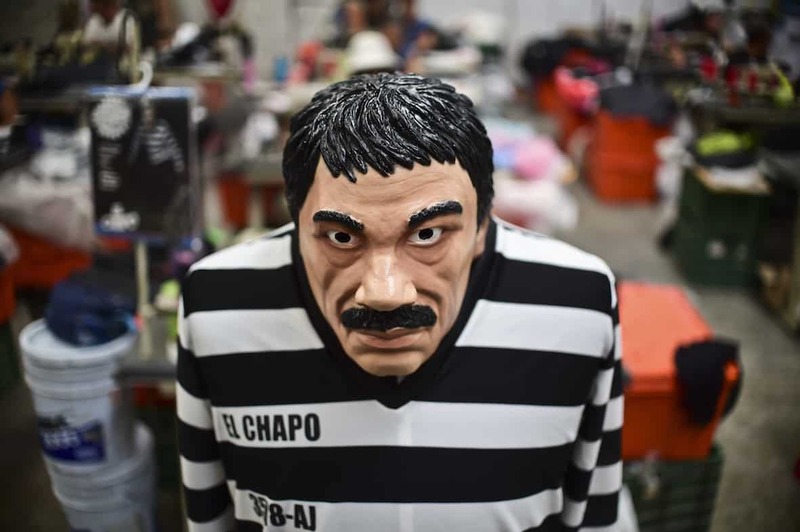 The wife of Joaquín “El Chapo” Guzmán — the Mexican drug lord who was recaptured earlier this year, months after his escape from a maximum-security prison — says she now fears for his life. “They want to make him pay for his escape,” 26-year-old Emma Coronel Aispuro said, according to The Los Angeles Times. “They say that they are not punishing him. Of course they are. They are there with him, watching him in his cell. In the interview — her first-ever public comments about her marriage, according to the Times — Coronel said that she’s only seen her husband once since he was imprisoned again, a visit that lasted just 15 minutes. She said he was “completely shackled, handcuffed,” at the time, and guards at the facility stayed close by. She also claimed that Guzmán was “slowly being tortured” and that his blood pressure was high. “I am afraid for his life,” she said. The interview with Coronel aired on Telemundo and was the basis for the Times story, a collaborative project with the Investigative Reporting Program at the University of California at Berkeley. Guzmán was captured in early January, about six months after he had tunneled out of Federal Social Readaptation Center No. 1, which is also known as Altiplano prison. Before his capture, however, he was interviewed by actor Sean Penn, a meeting that led to a piece published in Rolling Stone. Guzmán had escaped the federal facility outside of Mexico City in July 2015, slipping out through a hole in the floor of his cell. Now that he’s back in custody, authorities in Mexico have begun the extradition process to the U.S.
Coronel, a former beauty queen, and Guzmán are the parents of twin girls. The pair married in 2007, on the day Coronel turned 18, according to the Times report. Guzmán is 32 years older than Coronel, his third wife.